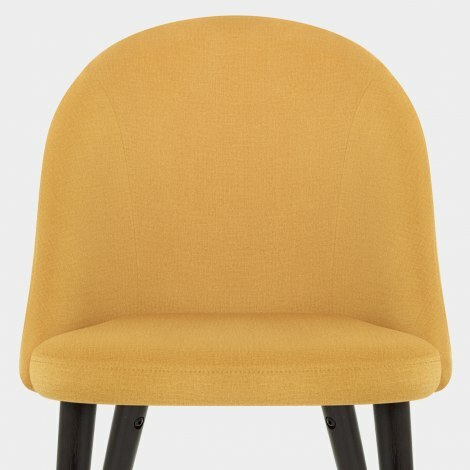 A superb statement piece for your home, the Polo Dining Chair Mustard Fabric will add bold beauty to the kitchen, dining room, and more. A marvellously modern item with a touch of retro style, the Polo is a fashionable and functional choice. 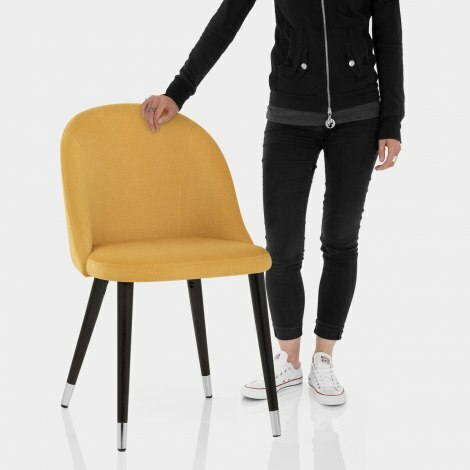 An alluring mustard fabric covers the seat, which has dense padding throughout. 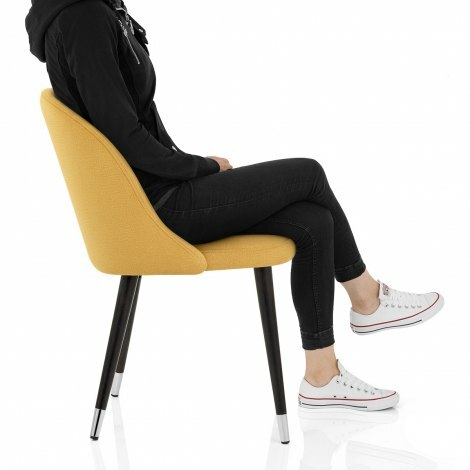 Boasting a rounded design, the backrest curves around the seat for an encompassing quality and features subtle stitching. The four legs support the seat and are crafted from solid wood, each with a chic dark wenge finish and contrasting chrome tips. Plus, protective pads beneath the legs help keep your floor in pristine condition and are also adjustable for uneven floors.